This publication is a continuation of the document entitled "Multimodality Imaging Training Curriculum — General Recommendations" which was published in the ESR journal Insights into Imaging (Insights Imaging 2(2): 99–101, DOI: 10.1007/s13244-011-0067-6) and in EJNMMI (DOI 10.1007/s00259-011-1804-2). The following sections of the document (Part II and III) list specific knowledge requirements for appropriate training in multimodality imaging for those whose background is in nuclear medicine and radiology respectively (PET/CT, SPECT/CT). Apart from specified training items it is understood that practising multimodality imaging requires certain skills above and beyond those enumerated under specific pathology areas. These include knowledge of emergency imaging findings as relevant to each specific organ system (BK = Basic Knowledge), interpretation and management of unexpected findings in the imaging of each organ system (CS = Core Skills), an understanding of the process of justification of requests for imaging investigation and appropriateness criteria (CS), creation of a structured, coherent, and clinically relevant imaging report (CS), an understanding of the medico-legal implication of imaging practice (CS), basics of oncogenesis including elements of cell biology and genetics (BK), principles of systemic, regional and targeted therapies (BK), principles and application of screening methodologies (BK). 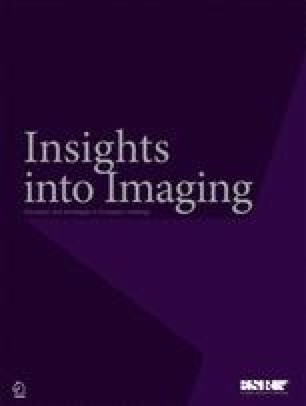 In 2011 the “Multimodality Imaging Training Curriculum – General Recommendations” were published in the EJNMMI (Eur J Nucl Med Mol Imaging DOI 10.1007/s00259-011-1804-2) and in Insights into Imaging (Insights Imaging 2(2): 99-101, DOI: 10.1007/s13244-011-0067-6). Both the European Association of Nuclear Medicine and the European Society of Radiology committed themselves to writing more detailed recommendations regarding skills and knowledge requirements for nuclear medicine physicians in radiology and radiologists in nuclear medicine. Parts II & III of the Multimodality Imaging Training Curriculum were endorsed by the ESR Executive Council in June 2011, as well as the EANM Executive Committee, the EANM Advisory Council and on February 26, 2012 by the extraordinary EANM Delegates Assembly. The Multimodality Imaging Training Curriculum is a joint European initiative between the EANM and the ESR to define the scope of training for medical specialists in hybrid imaging. The curriculum is a framework outline that may be used by member societies where appropriate to form the basis for discussion on the optimisation of further training of medical specialists. This curriculum cannot be used to legally justify changes to the organisation, overall specialist training or reimbursement regulations in any member state. The following outlines a check list of nuclear medicine training requirements for radiologists to ensure the appropriate level of knowledge is obtained for performing and reading hybrid imaging such as PET/CT and SPECT/CT within a 2-year training period. This checklist differentiates three levels of competence: basic knowledge (BK), detailed knowledge (DK) and core skills (significant practical experience required, CS). The following outlines a check list of radiology training for nuclear medicine physicians to ensure the appropriate level of knowledge is obtained for performing and reading hybrid imaging such as PET/CT and SPECT/CT within a two years training period. This checklist differentiates three levels of knowledge: basic knowledge (BK), detailed knowledge (DK), and core skills (significant practical experience required, CS). This paper was prepared by the members of the Combined EANM/ESR Curriculum Working Group (EANM: W. Knapp (co-chair), C. Hoefnagel, D. Huić, T. Nunan, F. Verzijlbergen; ESR: É. Breatnach (co-chair), K. Åhlström Riklund, G.P. Krestin, M.F. Reiser). It was approved by the EANM Executive Committee, the EANM Delegates Assembly, the EANM Advisory Council and the ESR Executive Council.